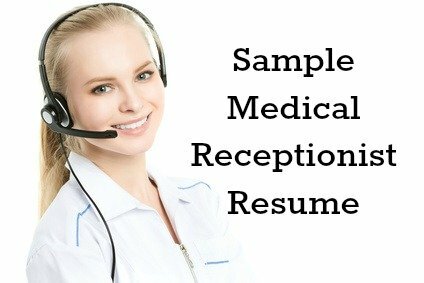 A medical receptionist resume that highlights why you are the right candidate for the medical receptionist job. This user-friendly format will help you to organize your own information in a persuasive and precise way. Focus on the skills and strengths that make you a good applicant for the job opportunity including your communication skills, your ability to plan and organize efficiently and your problem-solving ability. Get the job you want with a results-driven resume that presents your relevant medical receptionist experience in the most convincing way. Use the sample medical receptionist resume objective statements to develop your own powerful resume objective. Medical office receptionist in a professional healthcare setting. To secure the position of front desk medical receptionist in an established organization. Insert your own job information into the resume sample. 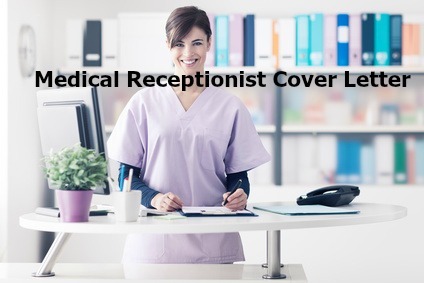 Use the detailed medical receptionist job description to help you with your medical receptionist resume. Always include a good cover letter with your resume.